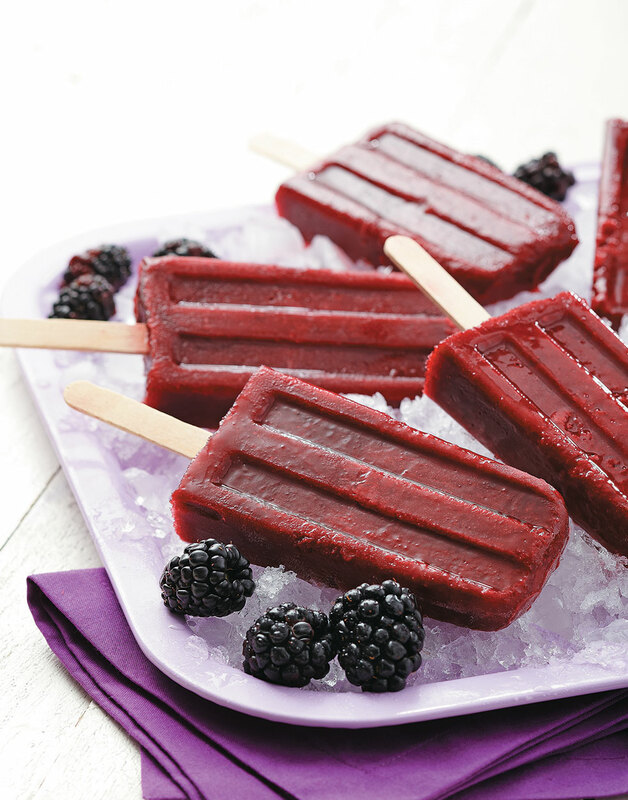 These blackberry ice pops are a fusion of fresh blackberries and lemonade that creates a fun and flavorful summer treat. Made with fresh blackberries, they're almost as fun to make as they are to eat. Just purée blackberries, make a lemon syrup, then combine and freeze. In no time, you'll have a fruity delicacy that will keep your summer cool and sweet. Purée blackberries in a blender. Strain purée through a fine-mesh sieve, pressing solids to extract as much juice as possible to yield 1½ cups purée; discard solids. Heat water, sugar, and lemon juice in a small saucepan over medium heat until sugar dissolves. Stir lemon syrup into purée. Pour purée into 3-ounce paper cups or molds; freeze until solid, about 3 hours.